Arbitrage Sugardaddy: $6.45 from review and interview with Tom E.
Wow, that was quite a year. I increased my income by about $70k from 2015…which is better than decreasing, but not as much as I would have liked it to have been. When I first started MikeFromMaine.com I had a ton more time to sit around and reflect about “what” I was doing. Now, instead of thinking about it, I’m actually doing it. Now because of this “taking action” I make a lot more money, but unfortunately I’ve slacked off a bit on my income reports. I feel like I haven’t been able to be as reflective this year as I have in the past and I want to change this in 2017. That being said, this year I was both able to make a lot of money AND spend quite a bit of time traveling with my wife, going to events, spending time with family, and not just “working” the whole time. I even took most of September off and a good part of December for wife/family time. Sure I could have made more money, but honestly I don’t regret it one bit. 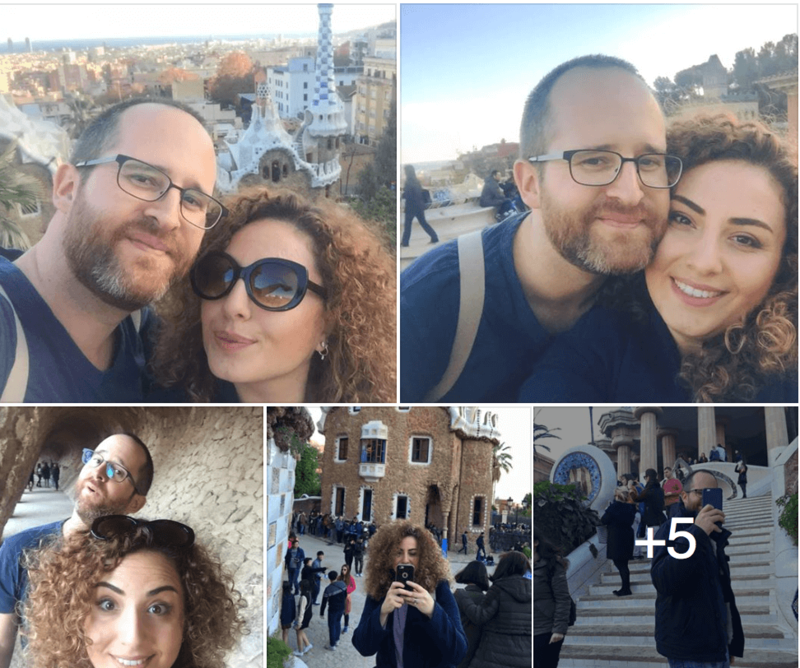 January: In January my wife and I decided to take a trip to Barcelona to celebrate the New Year. Income-wise, the month started slowly, but I still ended up making $19,425.79 by the end of the month. This was my lowest income month for the year. February: In February I got back into my groove again and was able to get all my promos planned out before taking a 3-day trip to Paris. By planning ahead, I was able to keep my business running and travel at the same time. Simply by doing regular affiliate promos I was able to make $27,052.76. March: In March Brett Rutecky and I had our first product launch of the year, a software called Video Takeover which did $156,000 in total sales. We definitely started a bit lit late since it takes at least a month to recruit affiliates for a launch, and it’s a mistake that we learned from, as this year we’ll be launching a month earlier in February. After launching, my wife and I took a quick weekend trip to Berlin. I was able to have a record-breaking month, earning $73,687.94 and defeating my previous record from October, 2015 of $58,774.03. April: In April, my wife and I went to Amsterdam for a couple days, and then to Rome at the end of the month. I simply continued doing promos while traveling and was able to make $31,489.90 by the end of the month. May: In May we launched our next product, Affiliate Trax which did $117,000 in total sales. At the same time that my launch was going on, a close family member had major surgery to remove a brain tumor. Thankfully everything went well, but it was definitely our most stressful month as a family in a long time. I was able to bring in $67,787.92, making it my second most successful month at the time. 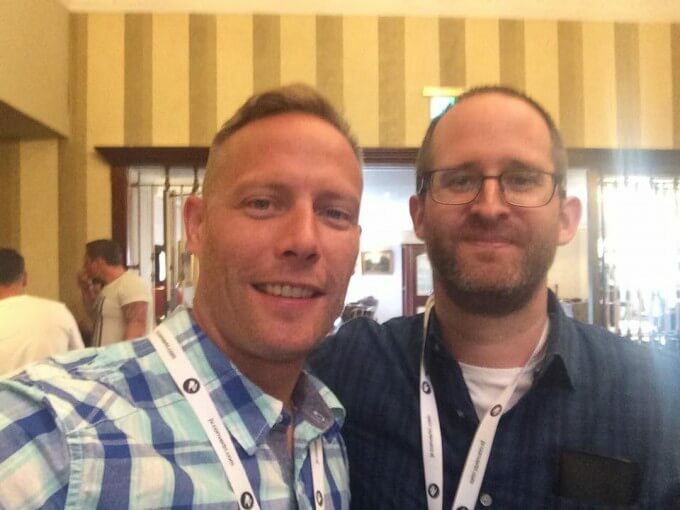 Ju ne: In June I went to my first Internet marketing event in Dublin, Ireland. I was a bit nervous about going, but I had a great time meeting and hanging out with some people that I had only known from interviews and Skype conversations. 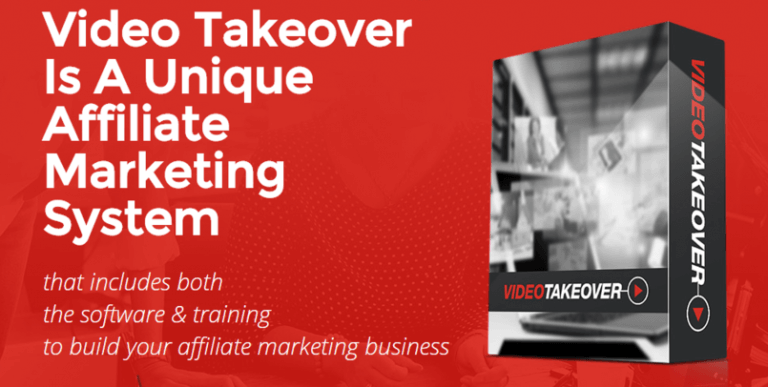 We also helped a friend of mine, John Shea, launch a high-quality course along with agency resell rights called Video Course Cash Kit which did $67,000 in sales. That was our lowest grossing launch ever, and it reinforced the idea that launching software is MUCH more profitable than info products. Even with the smaller launch I was still able to make $43,874.73. July: In July we took a road trip to the Halkidiki, Greece with a couple friends of ours. I was our first “beach” time of the summer, and I definitely got a bit burned 🙂 Even with traveling, I was able to bring in $30,403.43. September: I took almost the whole month of August off. My wife and I went to Maine for a week to see my family, spent 4 days in New York, and then 6 days in Portofino, Italy. And then at the end of the month I flew back to the States to go to an Internet marketing event in Las Vegas. Even with all that traveling, I was still able to make $27,946.39. October: I started October off a bit late after getting back from the marketing event in Las Vegas. It wasn’t my best month, but even after completing a few promos I was still able to bring in $24,840.01. November : In November I mostly did promos and got ready for our launch in December. 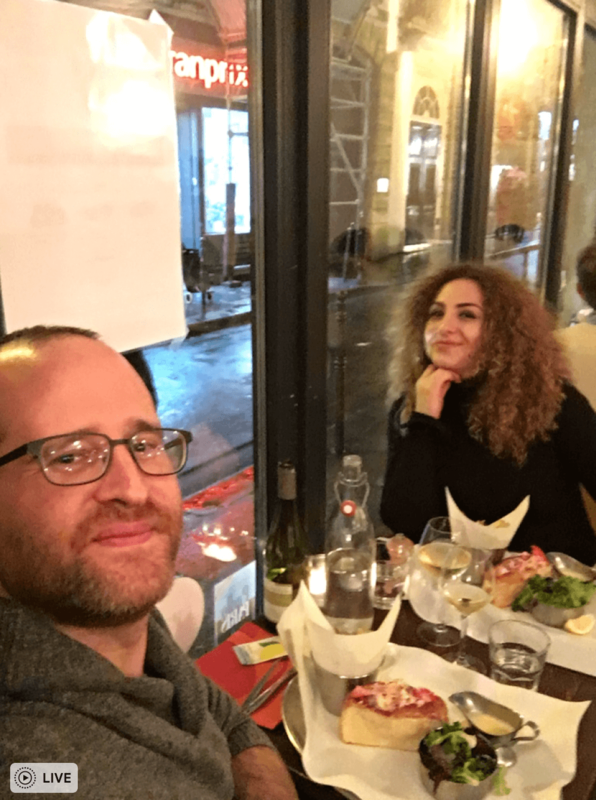 We went to Paris for a couple days to celebrate my wife’s birthday, but other than that it was business as usual. I was able to make $22,404.54. December: In December we launched Group Traffic Profits and did $99,853.60 in total sales. It was a good way to end December, especially since the holiday season usually makes it a slow month at the end with people taking time off. We were able to go to Germany for a few days, and take the last week off and spend time with family in Maine, and spend a couple days in New York before flying back to Turkey. At the end of the month I made at total of $39,295. What WERE my goals for 2016? My email list only increased by 3,666 subscribers this year. I wish it was closer to 30,000 by now, but I removed some inactive subscribers. I missed this goal by about $120k, but I plan to hit it in the next two years. I ended up spending approximately 13% of my income on business expenses throughout the year. This is something that I toyed with doing this year, but I think we’re going to do a different version of this instead focused more on having a done-for-you product. As of writing this, my weight is currently 184.5 lbs and my body fat is 22.8%. So I didn’t reach my goal, but I reduced my weight by 1.5 lbs and my body fat by 1.8%. I failed on this one miserably. I probably only listen to 2 books the entire year. This is something I definitely need to work on. I’ve been reading the same book for the last six months…so I need to work on this goal. So that’s ONE achievement and EIGHT that I DIDN’T ACHIEVE. I could look at this and say that I failed this year, or I could see it as I gave myself some pretty tough goals and haven’t been able to hit them yet. So what ARE my goals for 2017? I’ve tried to hit this goal for 2 years now, but I think that I could finally hit it in 2017. I brought this goal down a bit to be a bit more realistic. I currently have 23,725 active subscribers, and I increased my subscriber count by 3,666 in 2016, so I still think this is an aggressive, yet realistic goal. I currently own my apartment, but I’d like to own another one and keep my current apartment as an investment property. Last year I had a goal of launching 6 products and I launched 5. This year I’d like to increase that goal by one and reach it. This is a goal I didn’t reach in 2016, but I’d like to hit it in 2017. In 2016 I learned that I had high blood pressure and cholesterol, so I’d like to get healthier by reducing my fat and increasing muscle. This one may surprise you, but I also really enjoy cooking. I’m not a professional, but I love making new food and experimenting. The nice thing about starting a project like this is that I don’t need it to make money, but it would be a fun side project. So that’s what happened in 2016 and my plans for 2017. Obviously what I’ve been doing works, so I’ll keep doing it as long as I keep getting similar results. Thanks you so much for reading this, for watching, and for any support. I appreciate it! Let me know in the comments below what YOUR plans are for 2017 and how you’re going to achieve them. I am Fiverr freelancer and have recently setup a review blog to follow my passion. After going through your income report, I do realize that it takes a lot of work to make this kind of money each month however, hard work and patience does pay off in the long run. Out of all the goals you set for 2016, you merely achieved one yet in the process you have been winning all along. Even a fraction of that kind of affiliate earnings can change my whole life. Thanks for such an inspiring share. It only motivates me to pursue my goal even further. Happy cooking and keep up the great interviews in 2017! Continued success, Mike! Haha, yeah, sometimes I need to step back and realize just how amazing these results are. You get used to them after a while. Thank you for your refreshing honesty and for being so transparent with itemization. Thanks, Carol. I hope it helps you understand how to start your own business. Great job and way to go! When I grow up I wanna be just like your. I love the reports and the disclosure. You’ve shown us that it’s possible to make decent money if you find the right thing that you’re passionate about. Cheers! To a prosperous 2017! It’s interesting that you mention being “passionate” about it. I truly believe that to be successful with something you need to have quite a degree of interest in it. People say to follow the money, which is true to an extent, but at the end of the day you need to be able to do the work even when you’d rather be watching TV or be out with friends. Nothing but Fantastic result. Indeed congratulations on your achievement based on your persistent hard work and efforts. Thanks, Terry. Good luck to you in 2017. Hey Mike thanks for sharing your years progress so openly. I finally realise that I CAN really begin my own journey to get income from marketing in 2017. You have inspired me to stick at it & work a lot smarter this year. If I can achieve just 10% of your net revenue in 2017 that will make a massive difference to me & my family. Just make sure you get your goals down on paper, and make sure they are realistic. Remember, I wasn’t always this successful. I started at zero just like everyone else. Congrats Mike This type of transparency and honesty is so refreshing for a newbie like me but also to see that with hard work and applying oneself it is possible Are the product launches with Brett a big player in the overall scheme ? In other words to get to the level you are at is that one of the steps along the way to launch products do you think ? Hey Mike,congratulations on hitting it out of the ballpark once again,you inspire me to want to build my own affiliate mega business!